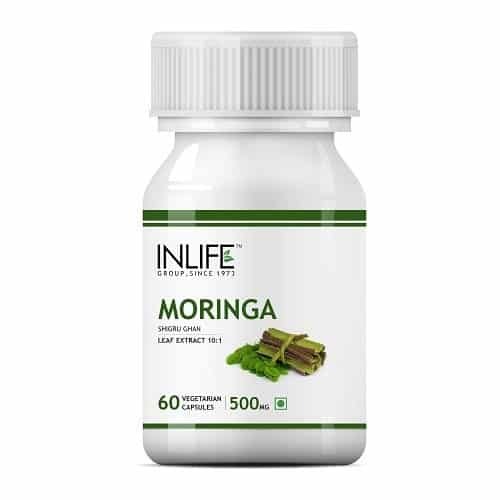 Optimizes liver functions. Acts as liver tonic. Stimulates fat burn. Delicious vanilla flavour. Contains all natural ayurvedic ingredients. 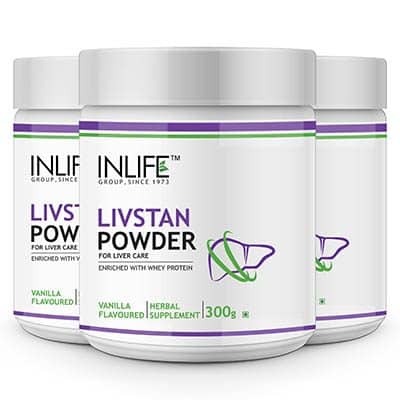 INLIFE Livstan powder is a versatile combination of natural ingredients that has liver protective and regenerative properties which includes Tamalaki, Kasani plant, Kakamaci, Citraka, Rajamasha seed, dadhi mastu ghan and skimmed milk powder. 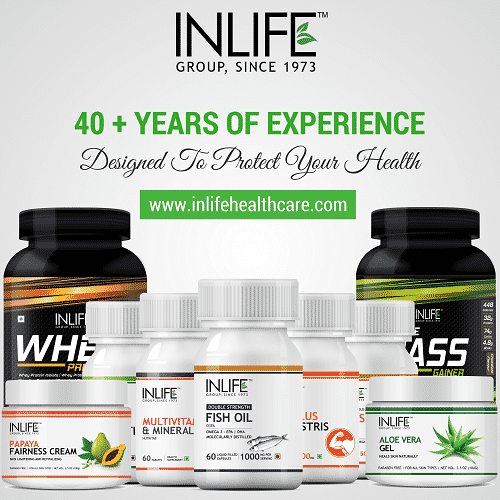 It combines a superior form of herbs that may nourish, support and provide total protection for your liver. 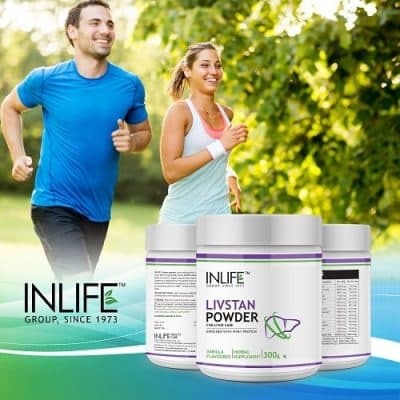 Each ingredient has been chosen by a physician for its specific liver enhancing benefits. 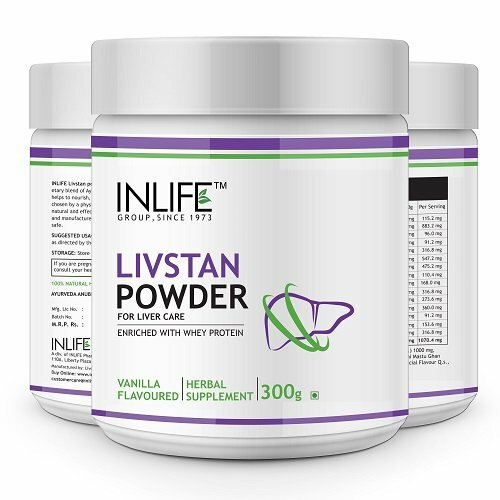 Suggested Usage: Take 10 grams (2 teaspoons) of INLIFE Livstan Protein Powder twice daily with water / milk or as directed by the healthcare professional. 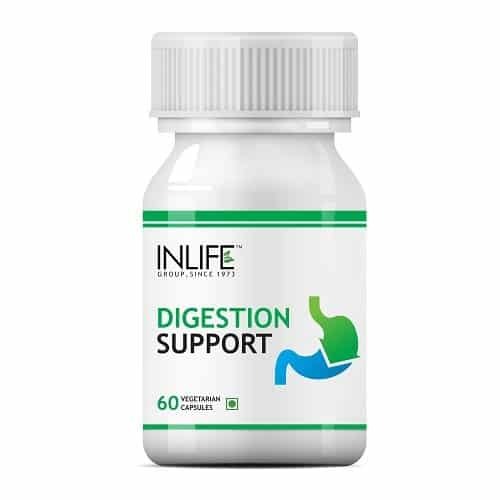 All these ingredients are shown to support liver and gall bladder function through removal of toxins and maintaining healthy bile production that helps in protecting the liver from harmful free radicals and promote a comprehensive liver protection and support. Kakamachi is anti-inflammatory, diuretic, antipyretic, antioxidant and anti-hyperlipidemia. It is proved that ancient people used this as medicine as it is a great natural ingredient which works for the maintenance of Liver and other abdominal organs. Kasani – A medicinal plant is the all-time preferred herb by the Ayurvedic physicians. 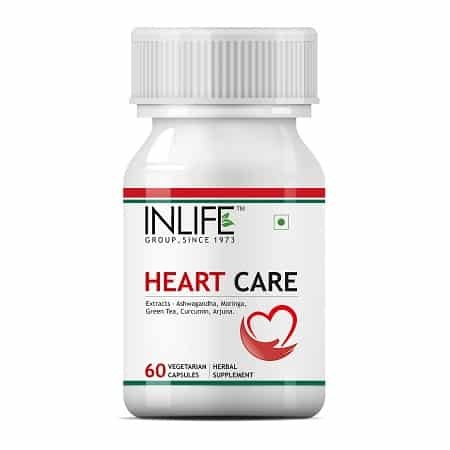 It is recommended as a therapeutic as well as preventive supplement for liver diseases. 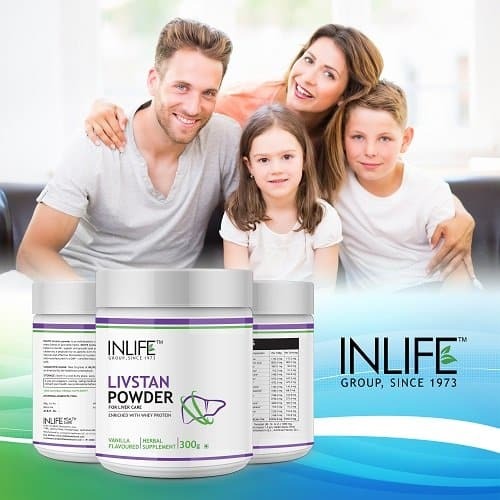 Skimmed milk powder used in the manufacturing of this supplement is packed with essential nutrients; it retains almost all the nutritive value of whole milk. 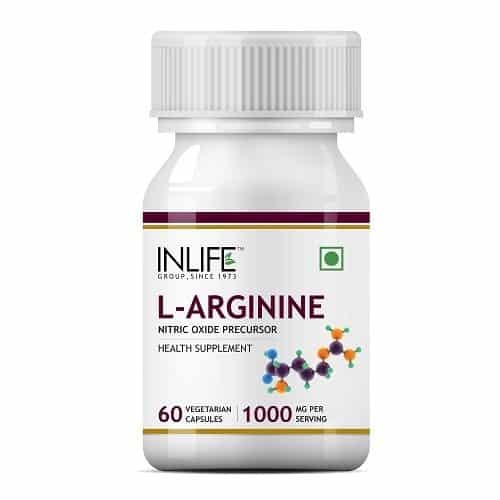 It does not support the actions that can trigger inflammation in your liver and helps in preventing fatty deposits from forming and accumulating in liver. 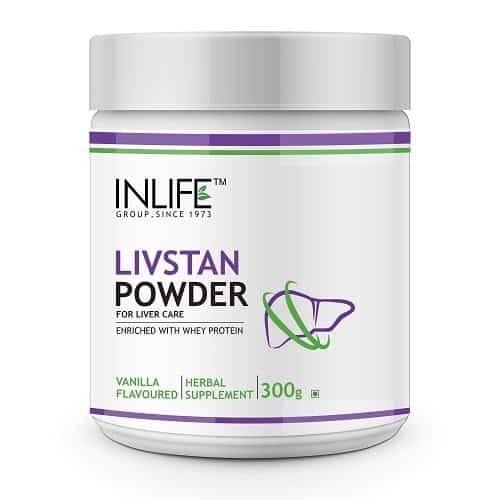 INLIFE Livstan can be regarded as natural cure of choice for liver problems- it works as a Hepato-protective, liver stimulant and cholagouge supplying you with the nutrients you’re missing from your daily diet to optimize your liver function and your overall health.Take this herbal nutrition supplement that has 7 natural ingredients in one powder to address and help you out with all your liver needs. Warning / Contraindication – Consult your health care professional if you are pregnant, nursing, taking medication or have a medical condition, before using this product. Excellent service and awesome product. 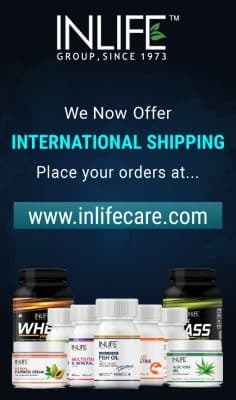 Awesome product i have i just made my 3rd order I will continue to use this brand and would also recommend. I bought this for my relatives. I think it works well. 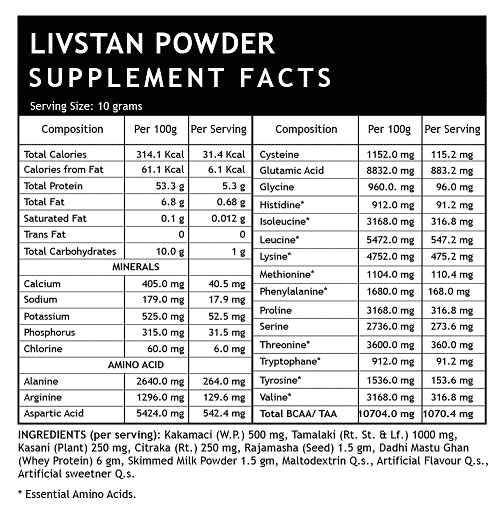 The price is great and this supplement contains some wonderful nutrients. This is a Great product! I have already recommended it to all my friends. Makes me lethargic. Went back to simple effective energizing. I’m on my second bottle and am starting to notice an overall sense of feeling better with more energy. This product works!! Not only does it truly help if you end up over indulging on any particular night, but it also helps with the daily toxic load and helping your liver deal with it. purchased this because it has all the natural ingredients that could help with good liver function.After finishing the first bottle I felt good and energetic! It works fast , my liver pain has gone away about a week after taking it. I will definitely keep on taking it. I have been taking this product for 2months. I feel better when I wake up in the morning. Also I feel less bloated. I am excited to try this product, and have just recently started. 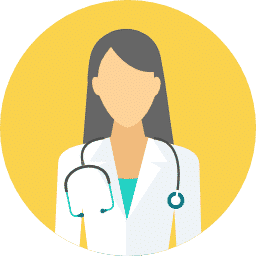 I also have my wife started as she experiences several of the symptoms of a person who has a liver not functioning at an optimum level. So far so good! Fast shipping. Just started today but am expecting great result as with their other products. I will update with results. Received product on time and in good condition. I have noticed an improvement in a few days, I would recommend this product. It seems to have helped with energy levels and fluid retention. I have not been taking this product long enough to see major results yet, but will continue to take based on other’s positive reviews. Wow! I was having a terrible fullness and ache in my liver area constantly and after taking these were gone within days. I won’t stop taking them – first relief I’ve had in months! Worked perfect. As described with fast shipping. Will buy again from this seller. Thank you. 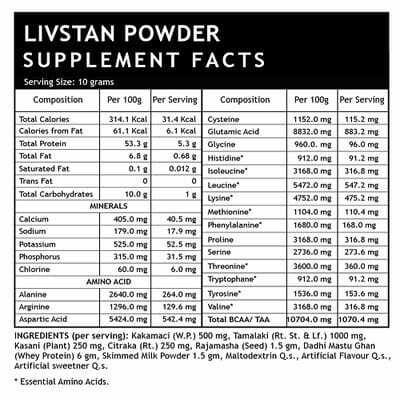 Livstan is a fantastic product. I experience a definite improvement in wellbeing when taken for a prolonged period . Great product and more cost effective than other brands. Best to put the powder in an air tight container. I can honestly say after 2 weeks on this I’m beginning to feel some of them. Really works well at clearing up my complexion and helping me to digest better. I have been using this product a long time now as I need it to help detox finding It is good. It works perfectly for me, and not side effects. Will finish the first package soon and will try to see, how my body will react without it. I always had problems with constipation. I used to take a lot of probiotics and other treatments to support the bowel movements. 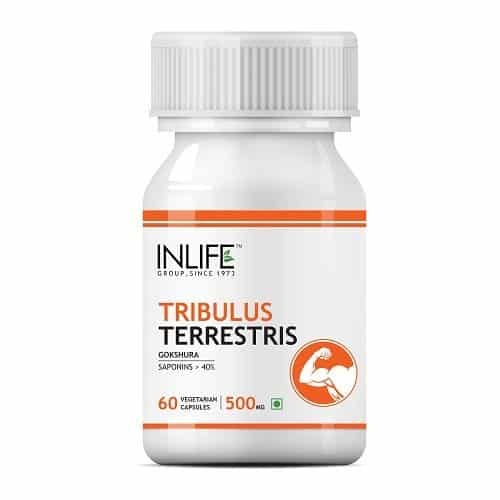 Recently i started to suspect that the reason might be in my liver that needs a bit of support and i tried this product because it is all natural. Nice calmly working liver support capsules. It good for my liver with the basic herbs added. Works as well as has best price. 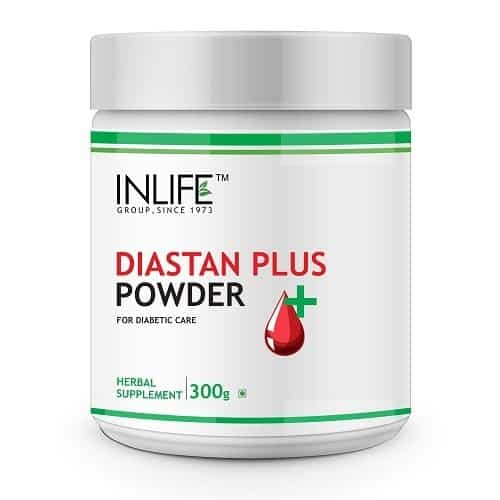 I was alcoholic and smoker and had ruined my liver and I guess this powder was saviour I am very happy with the product and I can see the difference in my health. It helps in protection and regeneration of liver. I take this product for preventing fatty deposits in liver.